Hans Holzer, author of more than 100 books on the paranormal, and investigator in what would become memorialized as “The Amityville Horror” died today. Holzer says it’s about what he expected, and that he doesn’t feel his next book should be pushed back much by the complication. Another book by Margaret Atwood, Payback: Debt and the Shadow Side of Wealth, is set to become a movie. We’ll have to see which is better, it or Wall Street 2. 2001: A Space Odd… WTF? Please find enclosed a mash-up that’s making the rounds now. I don’t often like mashes but this one’s pretty good. My wife have been on a British TV kick for a few years now. We don’t have cable, so we watch DVDs. Right now we’re watching The Royle family, which is odd but funny. We also like Spaced, the IT Crowd, Father Ted, the Vicar of Dibley, Chef, the Young Ones… all funny stuff. Below is one episode of one of the best shows ever, Black Books (if anyone doesn’t like my posting it, ask and I’ll take it down). If you haven’t seen it, it’s worth buying the entire three seasons. Also, congrats to Graham Linehan’s other show, the IT crowd, for winning a BAFTA. Now I know what a BAFTA is. I was wondering where Apple was on this. I remember when that type of technology first came out. It was called a Gameboy and it was rad. And I’d rather wear these shoes than go out carrying a Kindle. I will pay $350 for neither Kindle nor Apple’s rumored device until they stop making out-of-print books. Why would we ever need a pandemic preparedness plan? I am not a political person, and I try not to associate with any political faction, but holy crap the Republican party is out of touch. Over and over again with them. Volcano eruptions, psh. Rule No. D on getting published is: write a book on getting published. These three authors did it. They’re published and you are not. Granted, one was Stephen King… he can write whatever he wants. But with a book on getting published, you have a thing of interest to an audience predisposed toward reading (one might hope, anyway). Youth, youth–something savage–something pedantic. For example, there is Mr. Masefield, there is Mr. Bennett. Stuff them into the flame of Marlowe and burn them to cinders. Let not a shred remain. Don’t palter with the second rate. Detest your own age. 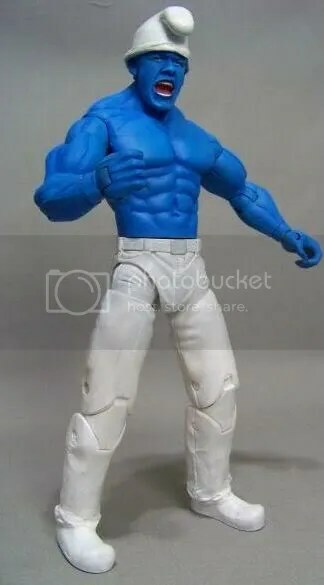 Build a better one. And to set that on foot read incredibly dull essays upon Marlowe to your friends. For which purpose one must collate editions in the British Museum. One must do the thing oneself. Useless to trust to the Victorians, who disembowel, or to the living, who are mere publicists. The flesh and blood of the future depends entirely upon six young men. And as Jacob was one of them, no doubt he looked a little regal and pompous as he turned his page, and Julia Hedge disliked him naturally enough. Rule Number C in getting published is anthropomorphization. For example, Martha Stewart’s dogs now apparently have a book deal and you do not. People love the talking pet. This worked to great effect in Leonie Swann’s first novel, Three Bags Full, which accomplished the rare feat of getting me to read a detective novel. I have not, however, read any of those sleuth novels with the cat that solves crimes. That’s just silly. I saw Leonard Cohen last night, and it was one of the best concerts I’ve been to. It lasted about three hours–he’s in amazing shape for someone in his mid-seventies. I will probably have to pick up the new Live in London album or DVD. Should pick up one of his books, too. Rule No. B to getting published is to steal ideas before the 10-year-old writing phenom gets to them. As I noted in Rule No. A, this particular 4th grader has three published works. He has a pattern–you may not have noticed it at first as it is rather subtle. First was How to Talk to Girls. Next came How to Talk to Moms. Third, but surely not last, comes How to Talk to Dads. If you want to get published in today’s market, you are going to have to jump on the bandwagon. That one, while being a little wordier than published works in the How to line, does not count because it is a wiki–the idea’s up for grabs. Also note, and I’m not making this part up, the wiki says you need “a little bit of money” to be a pretty little girl. These are merely two examples. And if you don’t steal the idea, it’s inevitable that the 10-year-old author will get published again before you do. Rule No. A to getting published is to write in crayon. While you were working on your period novella How to Talk to Dads, a ten-year-old stole your idea for his THIRD PUBLISHED BOOK. This, of course, follows his social commentaries How to Talk to Moms and How to Talk to Girls. I hear his work has been compared favorably to F. Scott Fitzgerald’s early output. Of course Fitz never landed a movie deal for a ten-page book on how to talk to girls. And you, you’ll never get published at all unless you start writing in crayon too. “Make a bet of it?” said Charlotte. “A very fine night,” shouted Miss Elliot into Mr. Clutterbuck’s ear. “Like to look at the stars?” said the old man, turning the telescope towards Elsbeth. “Doesn’t it make you melancholy–looking at the stars?” shouted Miss Eliot. Though he died more than 30 years ago, the NYTimes says a final work by Vladimir Nabokov is to be released this November. See article here. My wife and I went to a huge booksale yesterday, something like 200,000 books or more. 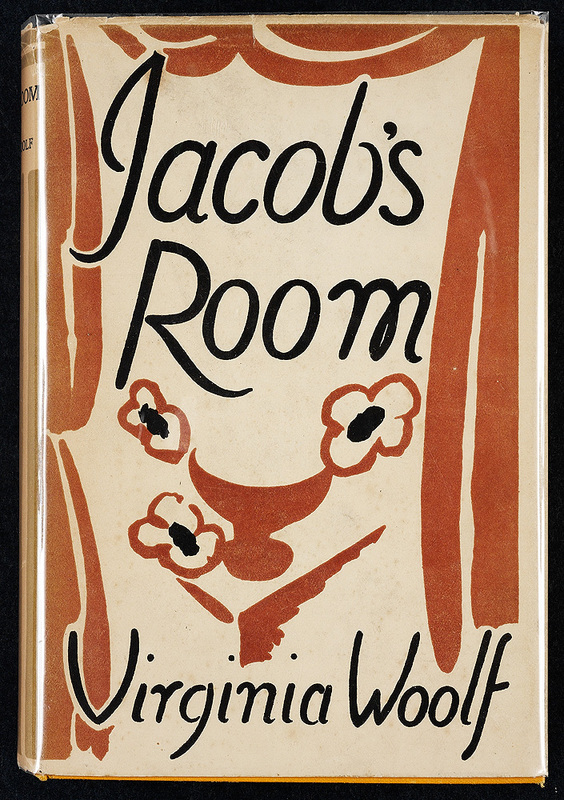 I wish I had found the above-pictured copyof Jacob’s Room (that’s the 1st Ed., and the first of her books Woolf self-published on her own Hogarth Press). I snagged quite a few old school hardbacks, but nothing too fancy. I did have fun, and I felt better about my own buying/hoarding habits watching people with carts full of what looked to be hundreds of random books. Pair all of that with the fact that it was National Record Store Day, and it was a good day. An inclined plane of light comes accurately through each window, purple and yellow even in its most diffused dust, while, where it breaks upon stone, that stone is softly chalked red, yellow, and purple. Neither now nor greenery, winter nor summer, has power over the old stained glass. As the sides of a lantern protect the flame so that it burns steady even in the wildest night–burns steady and gravely illumines the tree trunks–so inside the Chapel all was orderly. Gravely sounded the voices; wisely the organ replied, as if buttressing human faith with the assent of the elements. This is the type of diatribe that made me sick of journalism. There is no commentary there, just inflammatory jawboning. And it has nothing to do with whether I agree (I actually, sort of, do).The opiner apparently wrote this, if you are interested in her all-encompassing knowledge of literature. IT has had it rough for a long time. PEBMAC, err… I guess PEBBAC.